Do your shopping at Lincoln Road and Aventura Mall. You'll get in some beach time at South Beach and Hollywood Beach. Explore the numerous day-trip ideas around Miami Beach: Everglades National Park (Shark Valley, Gumbo Limbo Trail, & more), Fort Lauderdale Beach (in Fort Lauderdale) and Sawgrass Mills (in Sunrise). 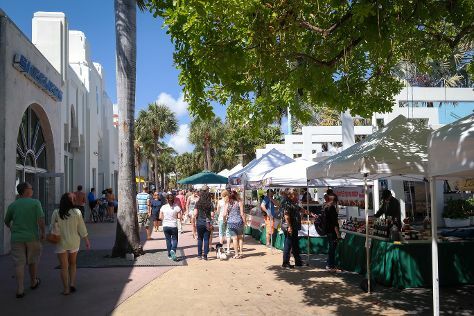 There's much more to do: take a stroll through Ocean Drive, shop like a local with Collins Avenue, take in the waterfront at Miami Beach Boardwalk, and admire the landmark architecture of St Patrick Catholic Church. To see where to stay, maps, photos, and tourist information, read our Miami Beach trip app . If you are flying in from United Arab Emirates, the closest major airports are Miami International Airport, Fort Lauderdale Hollywood International Airport and Palm Beach International Airport. Expect a daytime high around 34°C in April, and nighttime lows around 25°C. Finish your sightseeing early on the 27th (Sat) to allow enough time to travel back home.